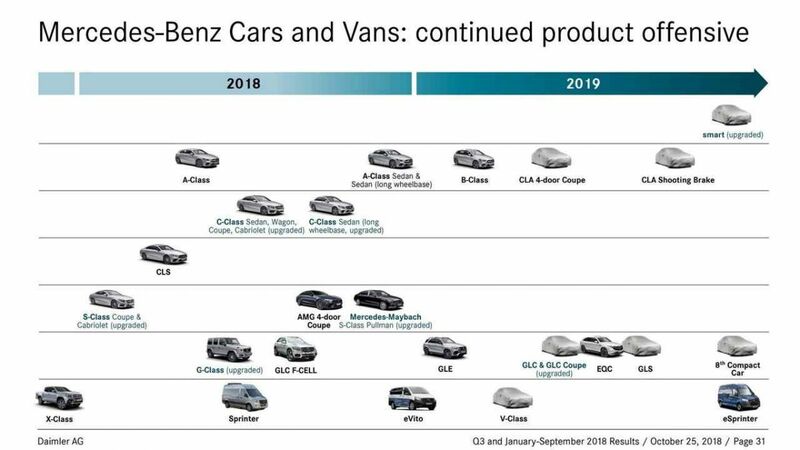 Mercedes-Benz told about own plans for the release of new products for 2019. The first half of next year will mark the beginning of sales of 4-door Mercedes-Benz CLA Coupe. For the third quarter, Mercedes planned to mass production of the CLA Shooting Brake Wagon. Cars were recorded by paparazzi not once but in dense camouflage. Mercedes will show also restyled GLC and GLC Coupe. In theory, sales will take place in the 1st half of 2019. A completely new flagship Mercedes-Benz GLS SUV will receive a BMW X7 rival. Next year's premiere is for a new B-Class and also electric EQCs with an eSprinter.